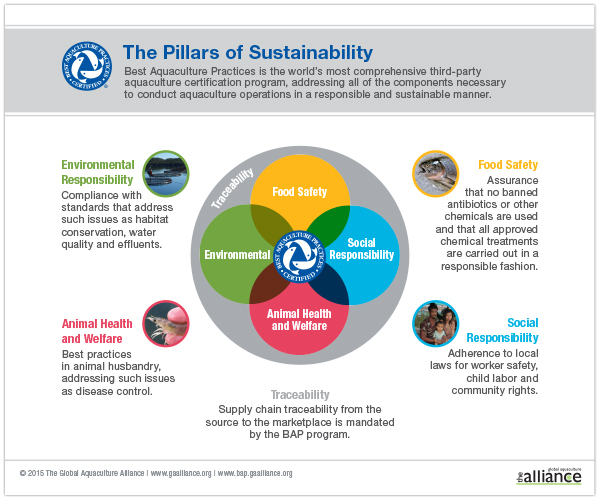 The Global Aquaculture Alliance recognizes that aquaculture is the only sustainable means of increasing the seafood supply to meet the food needs of the world’s growing population. 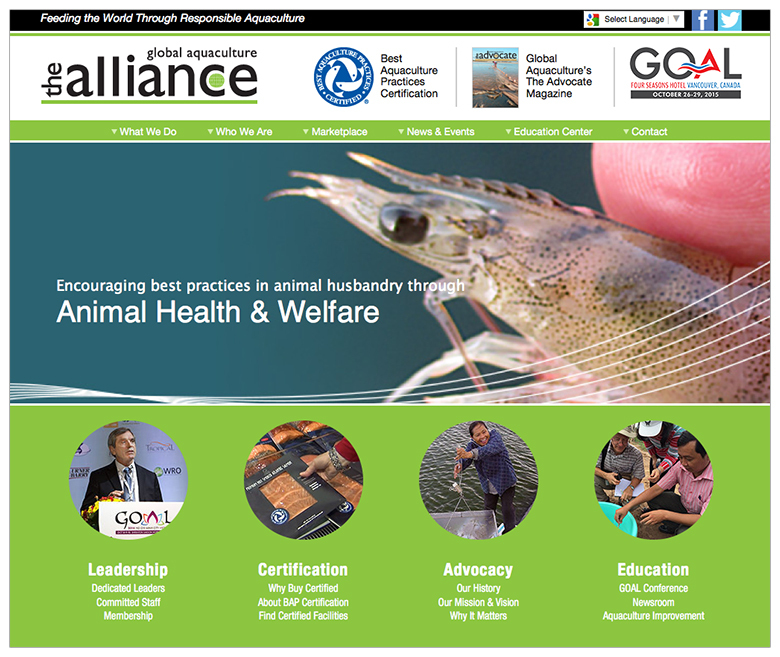 The GAA needed a web site that effectively communicated the complex issues surrounding aquaculture and was easily understood by a wide variety of stakeholders including: retail buyers, international aquaculture farmers and consumers. 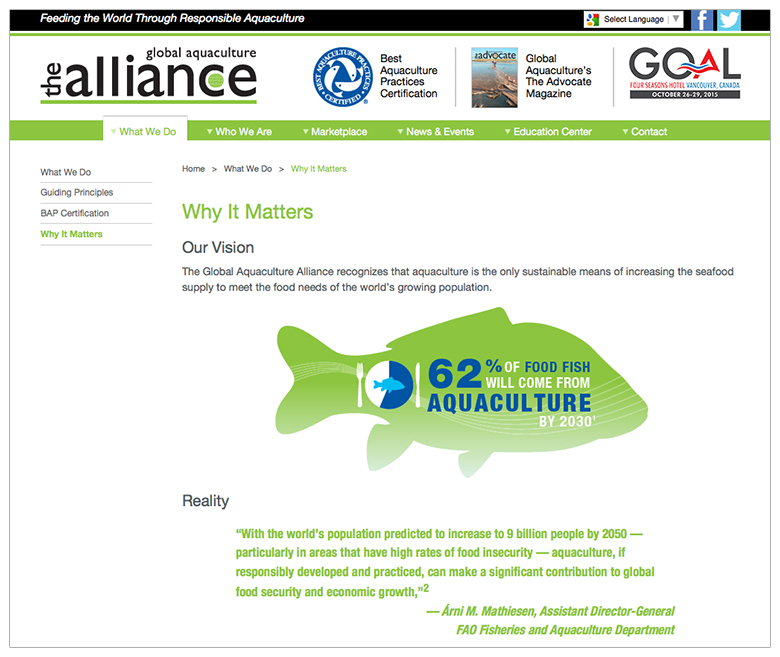 Their old site was loaded down by too much text that was unorganized. Visible Logic created a much more engaging overall look and feel for the new web site and reorganized the vast amount of content so that it was easier to find. 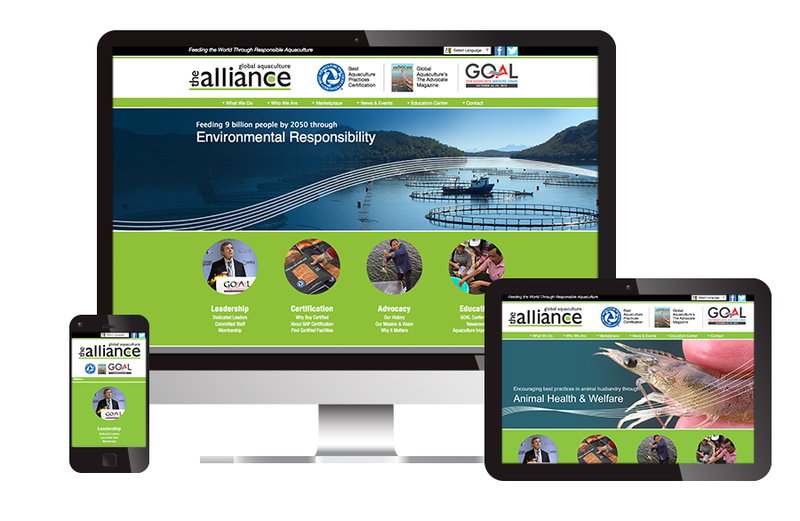 We connected the design and content by adding visuals to clarify GAA’s core values and messages.